Just arrived at Archer Airguns is the new version of the QB57 air rifle. 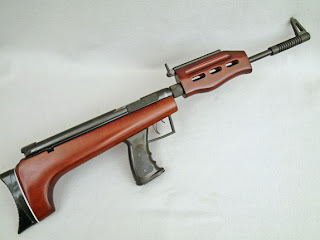 This model features much improved wood for both the stock and barrel assembly. It's a HUGE improvement!!! The wood quality is better and the shaping of the buttstock seems to slightly changed and less "blocky" than the previous model. I hope the photographs convey something of the improvement. 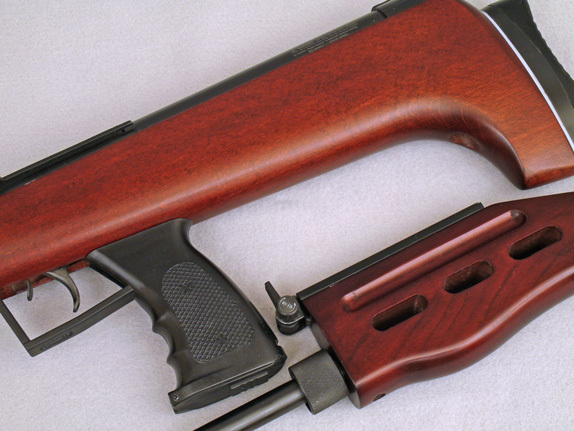 They show a typical appearance, although not all of the fore ends feature the "tiger stripe" effect of this airgun. We've been asking the factory for an improvement in wood quality for some time. I'm delighted to report that they do listen to my requests and that the appearance and quality of the QB57 has been significantly improved. Thank you Shanghai Airguns!